The barrier islands that hug the 70-mile coast of Virginia's Eastern Shore are home to wild, unspoiled stretches of beach, delicate natural habitats and remnants of the past left by those who once called this frontier home. You'll feel like the last person left on earth as you stand on the edge of the Atlantic. There are 14 barrier islands off the coast of Virginia's Eastern Shore. They comprise the largest stretch of coastal wilderness left on the eastern seaboard of the United States. They have been designated an International Biosphere Reserve by the United Nationsand a Western Hemisphere Shorebird Reserve Network Site of International Importance. This barrier island chain is one of only 17 locations in the United States designated as wetlands of international importance. 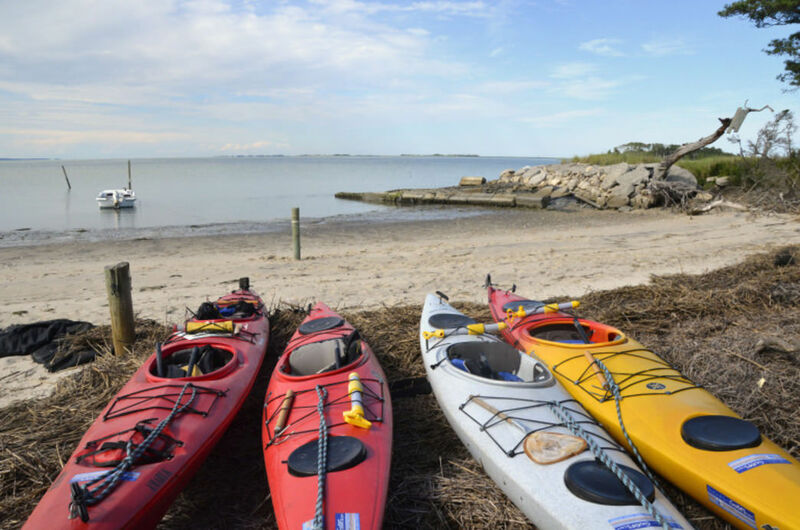 Virginia's Eastern Shore is one of the world's top destinations for paddlers, with the Chesapeake Bay on one coast, and the Atlantic Ocean on the other. There is no road or bridge to these wild islands. The saying that getting there is half the fun when you travel, is definitely true of a trip to Virginia's barrier islands. Hop in a kayak or canoe and paddle through salt marsh to the islands or head out with a boat captain who knows more about the barrier islands and the waters that surround them than you could fit in an encyclopedia. Take to the air and get a bird's eye view. We recommend that you do all three — each experience will give you a unique perspective. If you want to paddle the barrier islands on your own, bring your own kayak, or rent one here, then follow the Seaside Water Trail. Tackle small sections of the trail or if you're feeling ambitious, kayak from one end of Virginia's Eastern Shore to the other. Enjoy the peace of floating quietly among the salt marshes and bays with wildlife all around. Learn more about kayaking on Virginia's Eastern Shorehere. See below for details on where to launch your kayak. If you have a boat, the barrier islands are really just a stone's throw away. You can launch from a boat ramp in one of the Eastern Shore of Virginia's quaint seaside harbor towns and be standing with your toes in the sand on a barrier island in as little as 10 minutes. Pack a picnic, hop in the boat and spread your towel on the sand for a relaxing day on a secluded stretch of beach. Bring your binoculars for some spectacular bird watching or grab your rod and reel for a little surf fishing. Here's a list of boat rampson the Atlantic coast of Virginia's Eastern Shore. Most are free but any fees are negligible compared to most popular boating destinations. You can also hire an expert guide to help you explore the barrier islands. Catch a ride on DayTripper's boat taxi. They'll drop you off on Dawson's Shoals, a sandbar off of the seaside village of Wachapreague, for a beach day. Take a cruise with a licensed captain and certified eco-tour guide who will point out shorebirds and regale you with tales of days gone by on the islands. Get above it all and see how the barrier islands form a long strand off the coast of Virginia's Eastern Shore. 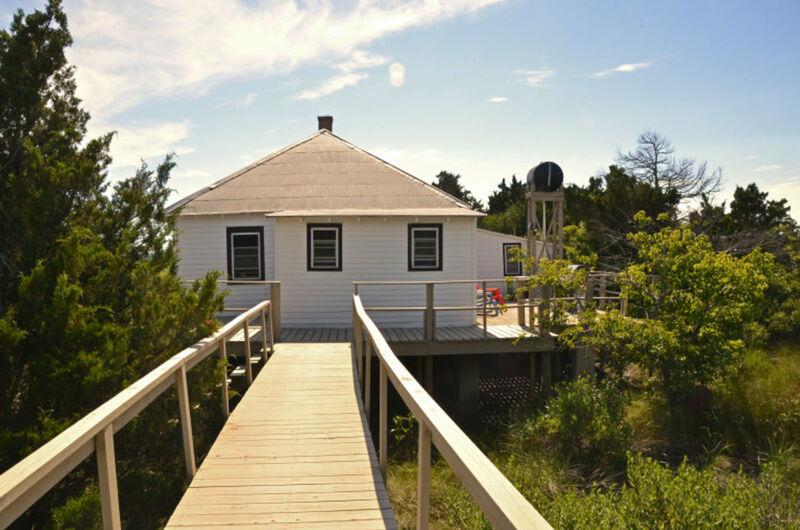 You'll get a whole new perspective on the barrier islands and the peninsula they protect. 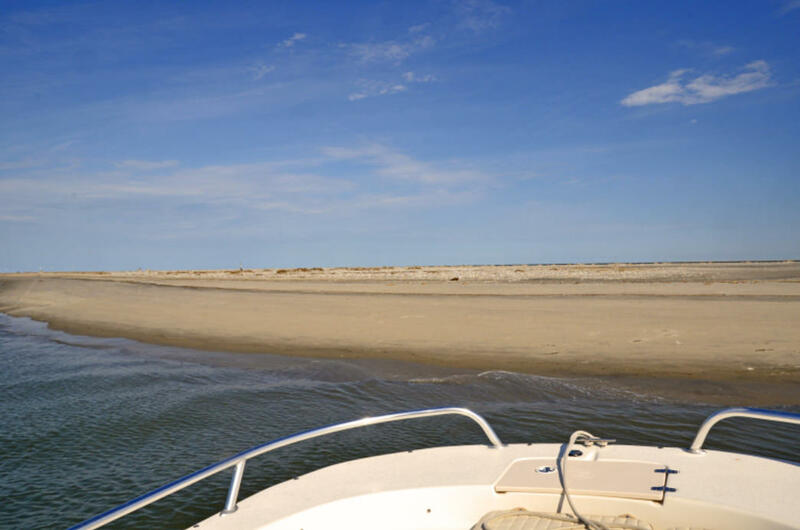 Anchor your boat just offshore and spend a day on the sand on one of the Eastern Shore of Virginia's barrier islands. The Nature Conservancy Most TNC-owned islands are open to the public for low-impact, non-commercial, recreational day use, such as swimming, hiking, bird watching, surf fishing and photography. These include Cobb, Godwin, Hog, Mink, Myrtle, Parramore, Revels, Rogue, Sandy, and Smith Islands, and the TNC-owned portions of Cedar and Metompkin Islands. Seasonal restrictions apply. Little Cobb and Ship Shoal Islands are closed to public access. Learn more here. Assateague , Assawoman , and the FWS portions of Cedar *_and *_Metompkin Islands and parts of Chincoteague National Wildlife Refuge are open for day use with some seasonal restrictions. Fisherman Island National Wildlife Refuge is closed to public access, but you can take guided tours during the winter months. Learn more here. VA Dept. of Game & Inland Fisheries Mockhorn and the state-owned portions of Cedar Island are open for use with some seasonal restrictions. Learn more here. VA Marine Resource Commission Dawson's Shoal is open to the public for low-impact day use. Seasonal restrictions apply. Learn more here.